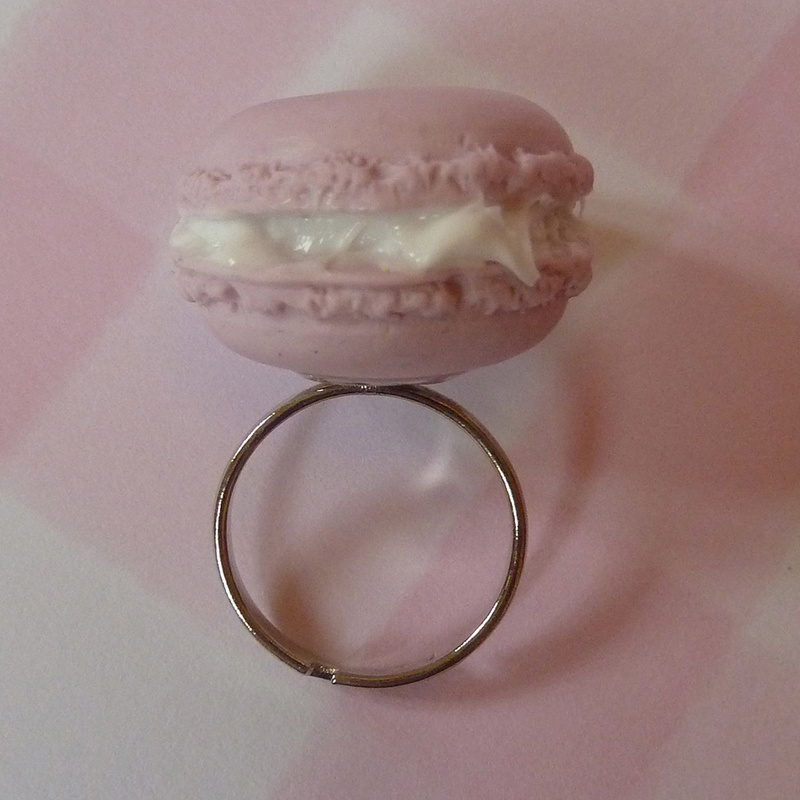 These adorable hand crafted macarons add a touch of French glamour to any outfit! 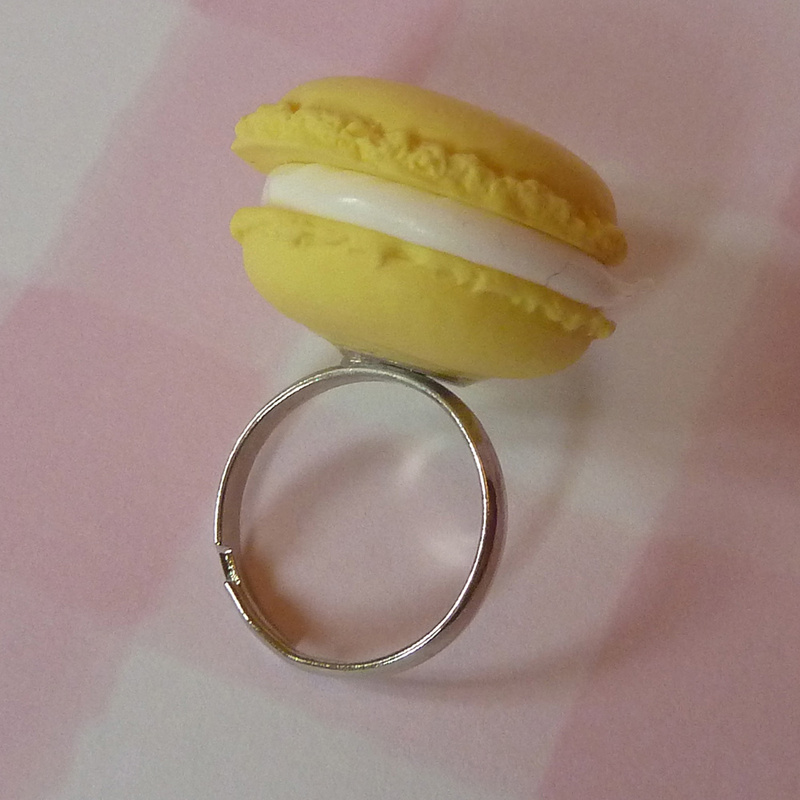 The cute adjustable ring features a giant macaron which looks good enough to eat – but no nibbling! 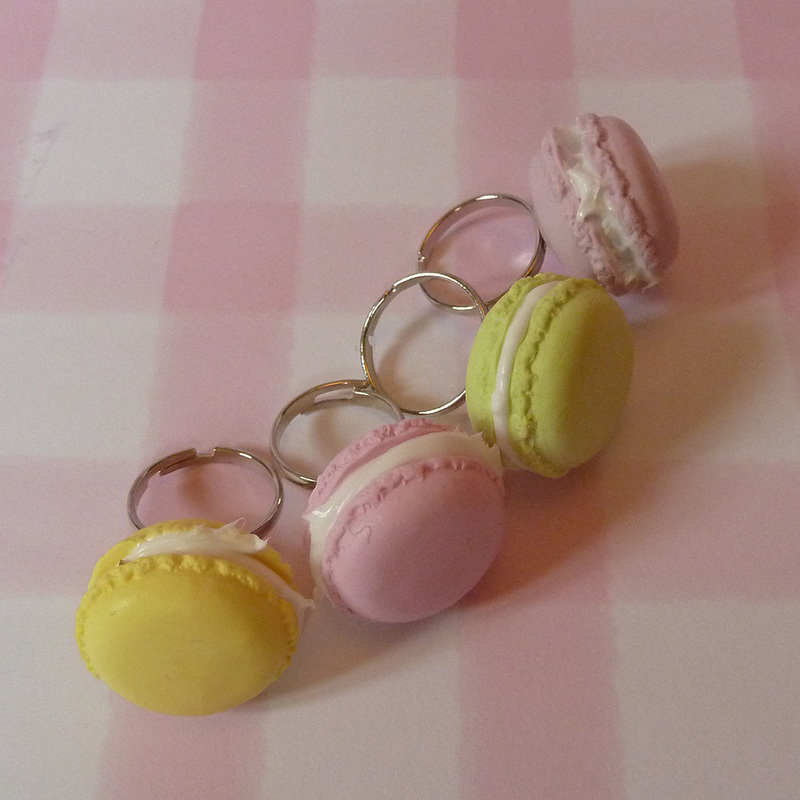 Choose from Rose, Lavender, Lemon, Orange or Pistachio flavour, and let me know whether you would like a child or adult’s size. 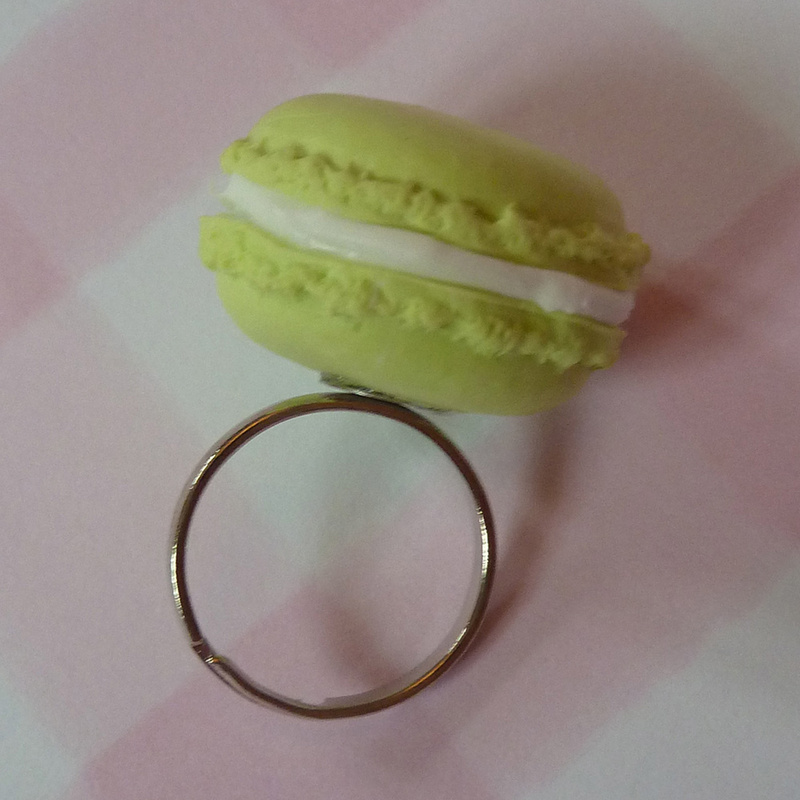 Matching Items are available - Earrings, Necklaces, Bracelets and More!